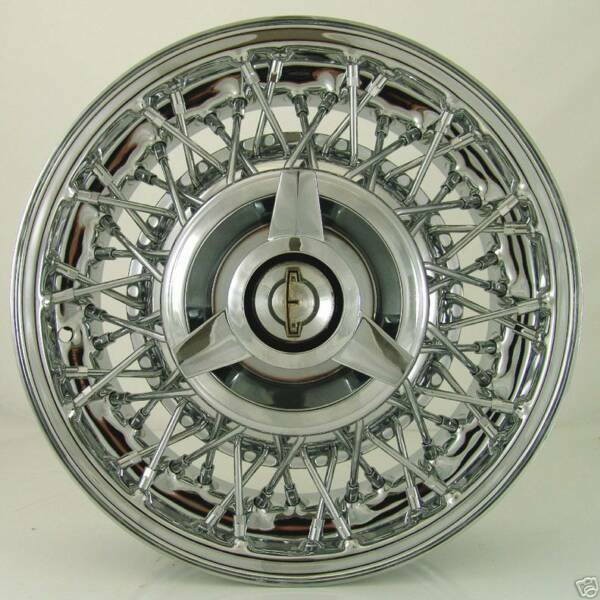 Kelsey Hayes style, reproduction wire wheels! 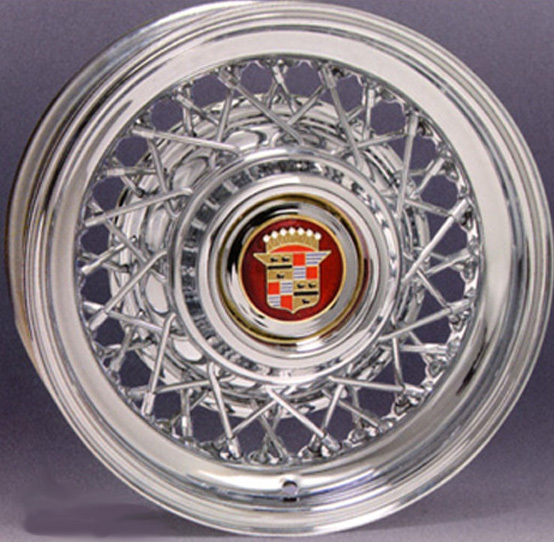 These beautiful rims are NOT the Chinese version that you see on a variety of websites or at various dealerships !!! ALSO.......They are NOT consistantly on back order for 2 months ...( like those others ) !!! 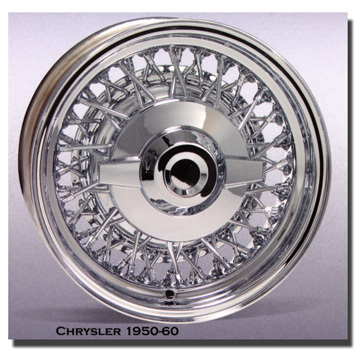 These wheels are made to order...the chrome is superior to anything on the market, AS WE CHROME EACH PIECE INDIVIDUALLY 4 TIMES. Many others dunk the entire wheel once. 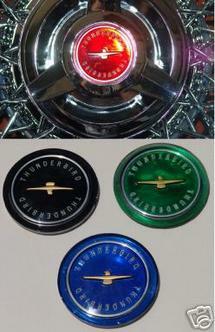 OUR SPINNERS ARE METAL.. NOT PLASTIC!! Our wheels retail for $3,650 through our dealership system. Through this website, you can save a substantial amount of money... and purchase a quality AMERICAN set for the same price as cheap quality CHINESE WHEELS. Also, our wheels are balanced and true...and will NEVER need to be retrued ( unlike those others ). The quality is simply breathtaking...and will make your concourse vehicle...shine...as well as your daily driver.YOU HAVE A CHOICE in 4 color center caps... black, red, blue and green. 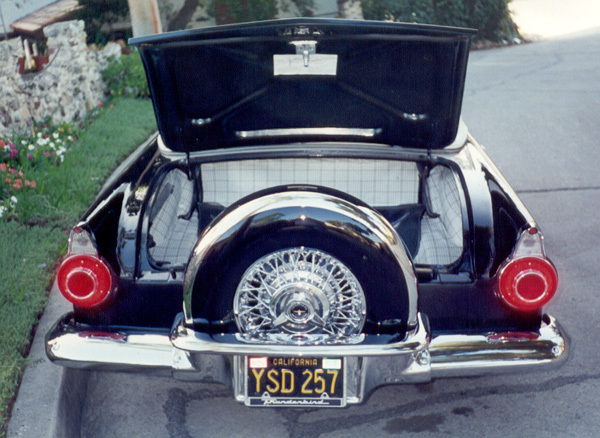 Please note, ALL T-BIRD SPOKE RIMS REQUIRE RADIAL TUBES! The difference is in our superior quality. 5th wheels sell for $750 Shipping included. Order Consists of 4 wheels, 4 spinners 4 caps. USUALLY A SPEEDY turn around!! Mailed to your door!!! Set of (4) $2,850 + $175 shipping to your door in Cont USA. Doc Sab Presents MAC DADDY WIRES!!! PLEASE CLICK TO SEE MY REFERENCES!!!! Note*** Never use fix a flat to temporarily repair your flat....Chemical destroys setting material in rim ! Always use only soapy water to mount tires. 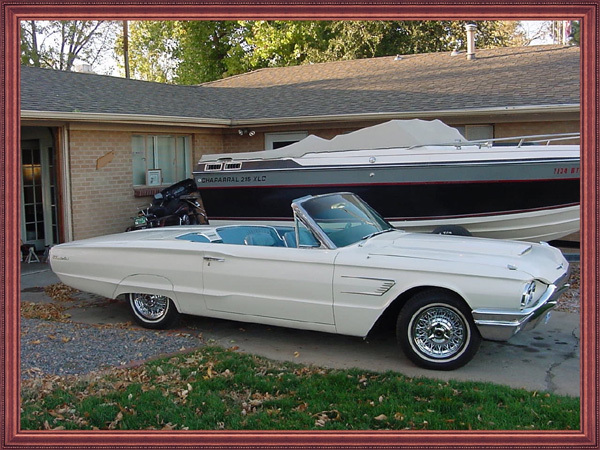 LOOK BELOW FOR OUR EDSEL EDITION!!! 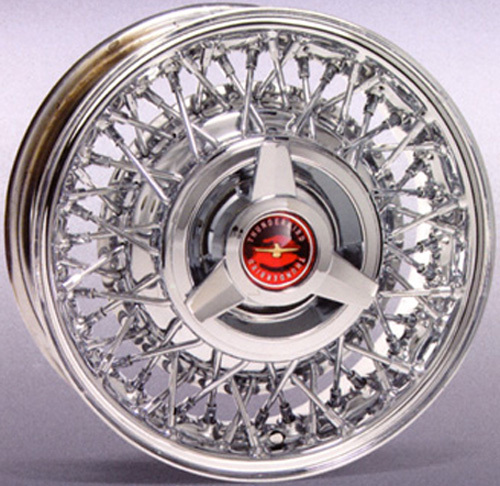 THESE EDSEL WHEELS COST THE SAME AS THE T-BIRD WHEELS.. THEY ARE EXACTLY THE SAME WHEEL, BUT WITH THE EDSEL EMBLEM. JUST SPECIFY WHEN ORDERING! 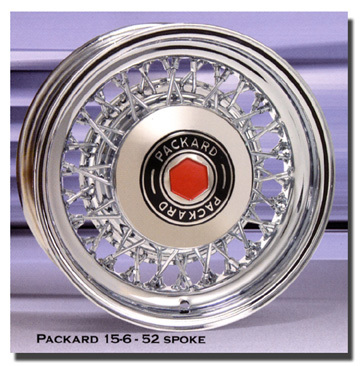 YOU CAN UPGRADE TO STAINLESS STEEL SPOKES FOR ONLY $1,000 EXTRA FOR THE SET. STAINLESS STEEL SPOKES ADD 800 for 4 wheels. EVERY SINGLE WHEEL IS BUILT TO THE HIGHEST STANDARDS! EACH WHEEL AND CAP IS PERSONALLY INSPECTED, SIGNED AND DATED BY DOC SAB TO ASSURE THE HIGHEST QUALITY. THEN, EACH WHEEL IS BOXED AND THE BOX IS SIGNED BY DOC SAB. DOC SAB ALSO PERSONALLY DELIVERS THE WHEELS TO THE SHIPPING COMPANY. WHEN THEY ARE SHIPPED, BY EMAIL YOU WILL RECEIVE TRACKING NUMBERS.. A PHOTO OF YOUR BOXED WHEELS AT THE SHIPPING COMPANY AND A CARE LETTER ON THE DAY THEY ARE SHIPPED!!! NOBODY DOES THIS LEVEL OF QUALITY CONTROL!! YOU GET WHAT YOU PAY FOR!! REMEMBER... IF A COMPANY SELLS TIRES AND WIRES.... THEY MAKE NEITHER! !